Just the other day we were discussing how having a high turnover rate can harm your company name. If you have employees coming in and out of your company more than your local TGI Fridays, you know there’s something wrong. There can be multiple reasons as to why this is happening, but poor hiring is at the forefront. If you fail to hire the right person from the get-go, then you are probably going to have to hire again, and again. To avoid that very costly mess, brush up on some of the best hiring techniques. If you have ever lost an employee before and had to hire their replacement, then you know how time-consuming and grueling the hiring process can be. You have to take the time out of your own schedule to create a job post, look through hundreds of resumes and applications, contact employees over the phone or email and finally interview the most qualified candidates. This can take weeks to complete. In fact, the average amount of time taken out to hire a new employee is 42 days. When you have to run a department or attend to your own heavy workload, that’s a lot of time taken out. Plus, if you hire the wrong person you are going to have to do it all over again. That is why you should take the hiring process very seriously, if you don’t already, and look for the best candidate- not just the “right now” candidate. So how can you be sure you are hiring the best and smartest way? Take a look at some of these hiring tips to ensure you are putting your best hiring foot forward. You know the scenario. You have a week’s load of your own work to complete but still have to find the time to look through hundreds of resumes and applications in your inbox. You could ask someone else to help you screen through the resumes to find the qualified candidates, but does that person really know what you are looking for? Do they truly understand the core skills and personality needed to fill this position? Looking through paper resumes takes forever and it’s very tedious. That’s why utilizing Spark Hireand online video interviews into your hiring process is a step towards smarter, better hiring. Once you have weeded out the candidates that definitely won’t work, instead of contacting all of the qualified candidates over the phone you can send them one way video interview invitations. On Spark Hire, one way video interviews work like this: you send your candidates questions to learn more about their skills, experience and knowledge, and they answer in video format. That way you can create a number of set questions to ask all candidates and assess their answers on your own time. You can play back their answers any time or share them with other managers that are in on the hiring. You can then compare candidates and decipher which ones are truly worthy of going on to the next step of the process. You can screen 10 one way video interviews in the same amount of time it takes to complete one phone screen. That’s a lot of saved time and a lot of saved frustration as well. 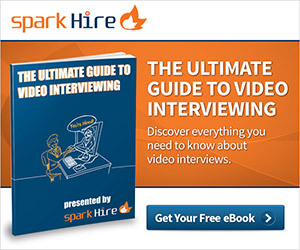 Video interviews on Spark Hire are a great way to hire better and to hire smarter. You may not know it by name, but chances are you have experienced a behavioral interview yourself or have actually given a behavioral interview without even knowing. When you want a really in-depth idea of what kind of skills your candidates have, then utilizing a behavioral interview is perfect. You don’t want to know if someone can do a certain task; you want to know that they have already done it in the past. Conducting behavioral interviews gives you a lot more insight into a candidate’s personality and work ethic. If you are having a retention issue, then you definitely want to gain these insights from the job seekers you are assessing. In fact, Inc.com reports that 94 percent of employers already utilize behavioral interviews. Of those that have utilized it, 40 percent intend to use it even more in the future because it was so successful. Start asking interview questions that force your candidates to give concrete examples of how they utilized their skills in the past and it will be much easier to decipher what candidate is actually qualified and what candidate is not. You need to be sure you are asking your candidates questions that will give you insight into their personality. Why? Because the person you are hiring needs to be able to fit in with your team and your company culture. If a new hire doesn’t seem to fit or mesh well with the standards and the employees you already have in place, then they will be much more apt to leave. I was reading up on odd interview questions the other day and came across one of the weirdest ones yet. The question was, “How do you feel about garden gnomes.” At first read I thought this was absurd and pointless. “Who cares? !” But then I realized the motive behind the question. If your company culture and your employees are a little quirky, then you’d want to be sure to hire someone that would get along with the quirky office vibe. A good fit for your office would answer this question with humor and flair. They’d get creative with it and not just stare at you blankly like you are an insane weirdo. If you get the latter, then this person probably won’t fit in with the odd vibes of your quirky company culture. These things matter, so make sure you are asking interview questions aimed at company culture.